In a house boat in Holland’s capital city of Amsterdam, there is a Dutchman whose ability to control his bodily functions with his mind has reformed what scientists have long believed was possible. 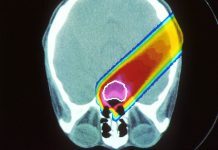 He insists everyone has this ability–even those with debilitating diseases. Auto-immune disorders, multiple sclerosis, Crohn’s disease or arthritis can easily take control of one’s life, making any sort of physical activity challenging. Even something as simple as being on your feet for prolonged periods can easily result in pain. So climbing a mountain must certainly be out of reach for people with these conditions, right? 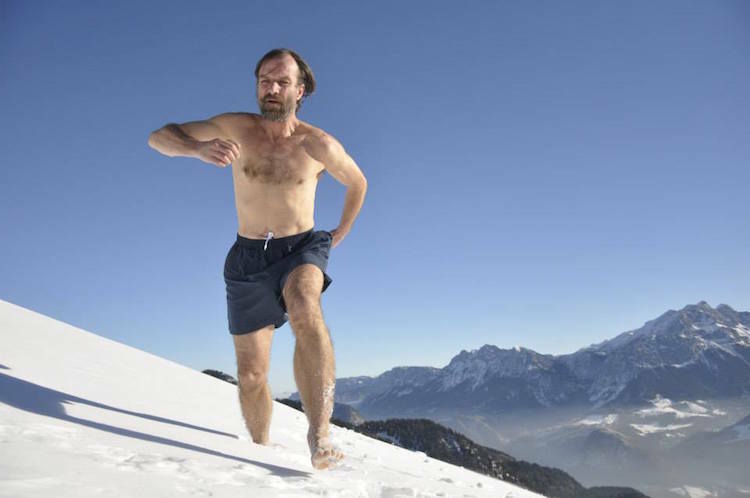 Wim Hof, who believes that he is not an exception and anyone can do what he can, led a group of eighteen people without any previous mountaineering experience to the summit of Mt. Kilimanjaro in January. The oldest was sixty-five, and some of them had conditions such as asthma, Crohn’s, and rheumatoid arthritis. After only four days of training his climbers, the goal was to reach the nearly 20,000-foot summit in three days, wearing nothing but shorts and shoes. The Marangu route traditionally takes 5 or 6 days– they got there in two. During the four days of preparation, Hof’s trekkers practiced primarily two things–extreme breathing techniques and cold water immersion. 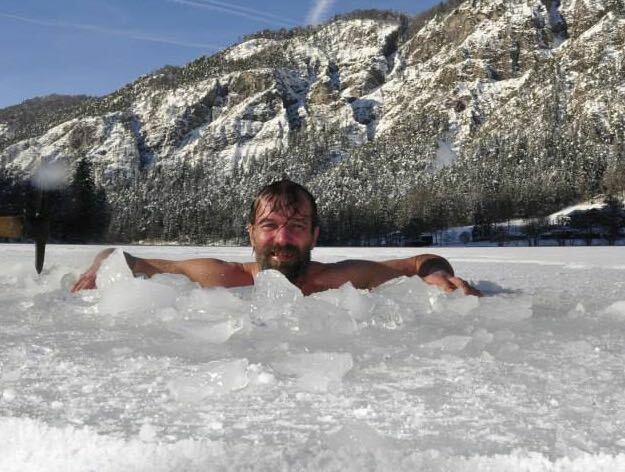 “Iceman” as he is known to many, currently holds twenty world records, including the longest time spent in an ice bath, at one hour and 44 minutes. The feat was all the more amazing because his core body temperature did not change. He broke his own record twice, adding a cool 41 minutes to his previous time. The 56-year-old has also climbed mount Everest in his shorts, and completed marathons in both arctic temperatures (4°F / -15 °C ) in Finland, and scorching heat (104 °F / 40 °C) in Namibia. It all started for him as a troubled seventeen-year-old, when Wim was “attracted’’ to jump into a pond of freezing cold water, and in it he experienced an “awakening”. As a result, he began to develop a method of physiological control, which allowed him to accomplish seemingly superhuman feats involving the cold. Part of his method uses a forced breathing technique practiced in Tibetan yoga called tummo, or “inner fire”, that has been shown to increase body temperature. In research done by Radboud University in the Netherlands in 2012, Hof trained a group of 12 volunteers to show that they could modulate their immune system, after already demonstrating the ability to do it himself. They documented his skill to not only control his immune system at will, but also the endocrine (hormonal) system, and autonomic nervous systems. Put simply, using his breathing techniques, The Iceman in a laboratory setting was capable of consciously influencing his immune system, even circumventing disease using the power of his mind–something scientists thought to be impossible. The father of four decided to bring his method to the public after his wife’s tragic 1995 death by suicide following her battle with depression. His mission became clear. 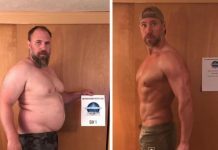 With the help of his son Enahm, Wim began to get his message out, promising control over happiness, strength, and health, to any who practice his techniques. 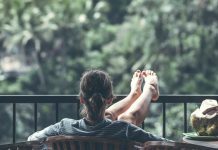 Particularly for people suffering with depression, Wim offers a “very simple” way that he believes can fix chemical imbalances by manually altering serotonin and melatonin hormone levels. A new group of believers will be tackling Kilimanjaro again in January of 2016–a trek that normally leaves more than half of climbers with acute mountain sickness due to extreme elevation levels. His goal is to prove once again, that the human mind, body, and spirit, are capable of truly remarkable things, even while wearing nothing but shorts.